As per title, i was playing this earlier and just as i hit the front with 12 players left, one of my sons phoned me and asked if i could pick him up. 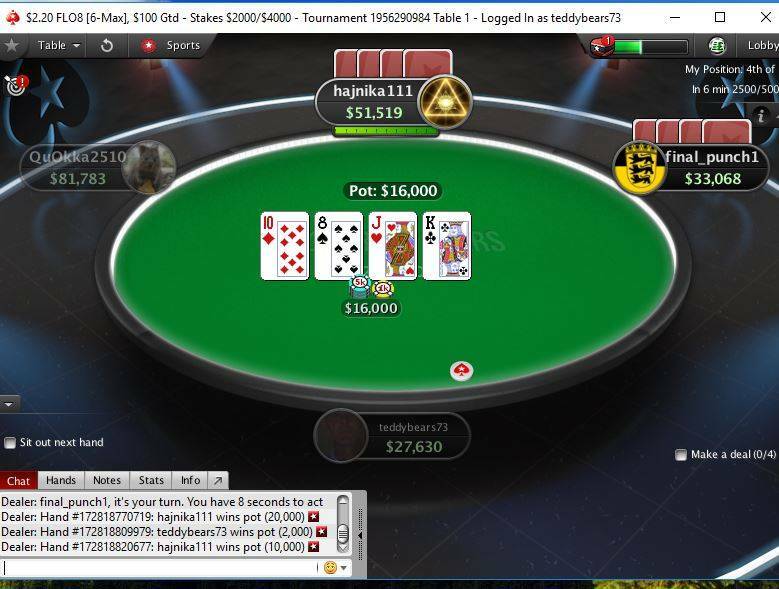 Massive congratulations to you on your runner-up finish in the $100 guaranteed tournament at PokerStars. You've made a good return on your investment. I am looking forward to the day when I will be reading your another success story — soon, very soon! 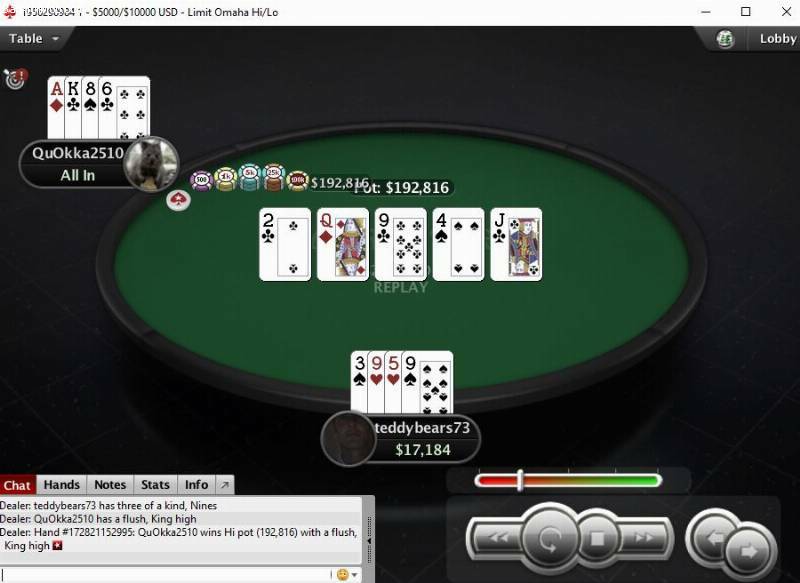 nice story there and a 2nd place finish to show for it as well, but i would really like to see how nice dad you would be if you were playing in wsop main event with 12 dudes left and received that call ... nice comeback though, keep up the good results. Aha , nice one pochui......in that case he would have had to get a taxi,i'd pay for it of course. Aye. i kept betting he kept calling something had to give unfortunately it was me. 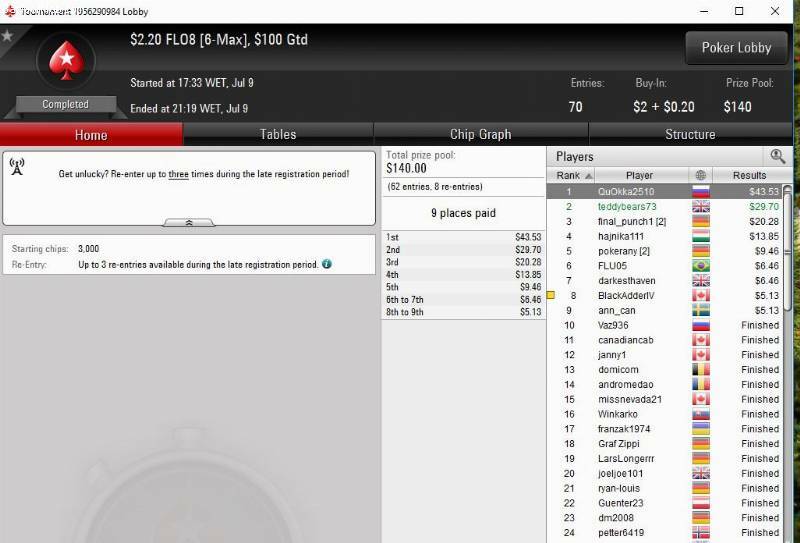 Massive congratulations to you on your runner-up finish in the $100 guaranteed tournament at PokerStars. You've made a good return on your investment. I am looking forward to the day when I will be reading your another success story &#65533; soon, very soon! Aye, he's 30 now so when do i stop ? You should thank your son, for the win you got.